Winter is just few months away. Generally outdoor activities come to a standstill during winter months. Most outdoor activities are commuting and shopping trips. 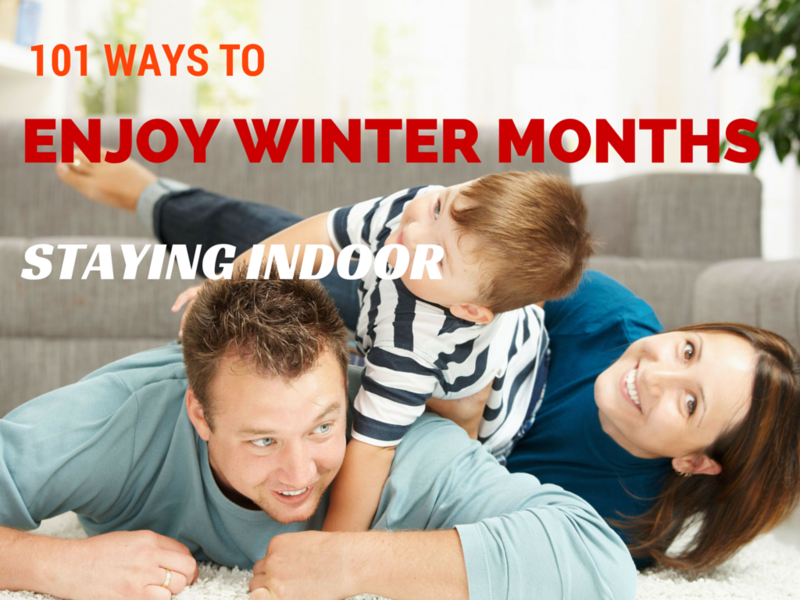 But here are a list of numerous ways you can enjoy your winter, staying indoor but not missing out on the fun. After enjoying your summer in the beaches and spending a lot on holidays, you might probably be thinking of frugal but fun ways to enjoy during winter while indoors with family and friends. I have compiled a list of 101 ways to enjoy winter indoors and believe you me, most of these methods will cost you almost nothing. Practice some new hobby like, ice art. Google it, the tools that you need are not beyond the regular hammer and chisel. Local home improvement stores will keep them always. Do you have an extra room? Or is your garage empty? you can make them a skating ring. With only proper tiles you can have a poor man’s ice skating arena right in your home. Sounds absurd but may not be impractical. Do some snow art. I know a family who create a new snowman everyday. A fat snowman one day, an athletic the next. May be a snow woman the day next. Bring a baby pool inside the house and let the children play and make snow castles. Catch up with old friends – After losing contact with your high school best friend or an old work colleague, winter months can be a good time to catch up with them using Skype or cell phones. Organize a home talent show – Start nurturing talent in your house by competing in a home talent show with your friends and family. Make use of your hobby. If your hobby includes something you can door indoors, like reading a novel or narrating stories to your children, by all means do it. How about getting educated? Enroll for a class of something you like online. Cooking, knitting, computer programming or even web designing can be some of the classes you cantake online. Donate clothes – Giving out clothes and other wearable to the needy can be one of the most fulfilling things in life. It makes you feel gratified on the inside. Donate to charity organizations or to orphanages. Write a book – Who said that only celebrities write autobiographies? Write something useful even though not necessary that it be your autobiography. Some of the bestsellers were written on a chilly winter day. Watch a movie – You don’t have to go to the cinema hall to watch a great movie. You can watch the old movies you have while resting on your couch. Read all the magazines you put aside in the past. Round up all the best magazines you have and read them. 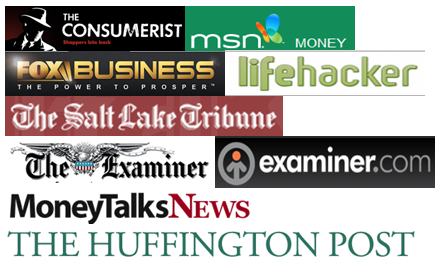 Start a blog – Blogs don’t cost much to start and run, but they can earn you some good money. Start a blog on a topic that you love. You can start your blog in just $20. Play video games – If you are a video game junkie, winter is the time to play all the games you never got to play while you were busy working. Knit your clothes – A sewing machine is quite affordable, and it can help you pass time throughout winter as you knit your own clothes which you can later donate or sell. Plan for your summer vacation – Most people don’t get time to look for nice holiday destinations and to plan for the visits. However, you can plan for the next summer during the winter season. Prepare breakfast – If you take breakfast in restaurants, or if you have never prepared breakfast for your family, winter period is the time to do so. Enjoying drinks with friends and family. Sometimes you will need to relax and to have fun. Buy some nice beverages and have a happy hour. Catch up with your favorite TV shows. No harm in laughing once again with Joey, Chandler, Ross, Monica, Phoebe and Rachael. The more I watch episodes of friends, more I fall in love with the characters. Take a relaxing and luxurious bath. Get yourself into the bubble bath, light some candles, put the music on and take a drink as you relax in the bath tub. Arrange your closet – For people with lots of clothes, you can take time and rearrange your clothes, prepare clothes for upcoming events and donate those clothes that you don’t use as we had stated earlier. Try new recipes. Food network can be your favorite channel when you want to try your hands with something new. Take hot afternoon tea, read your favorite author. Go to a place that has maximum sunlight. if you have green house setup, that can be the perfect place to enjoy weekend afternoon tea. Take some popcorns and put the music on. Some days you just want to relax and you can perfectly do this by listening to your favorite songs while lying on the couch or bed. Scrapbooking – This involves you making a book by compiling all the artistic works of your kids or yours. Do crafting or drawing. If you really like the arts, make use of you skills during the winter months. Work out – If you really like working out, the winter period is the best time for that. Using cheap work out equipment. You can purchase a work out DVD or use the Internet to learn ways to work out while indoors. Do brain teasers – Most newspapers and magazines have Sudoku and crossword puzzles. Filling them is not only enjoyable but it also helps you to be creative. Prepare homemade chocolate. You can get the recipes online. Do some beauty treatments- Look for DIY beauty treatments and do your manicure, pedicure and other things while in your house. Disco down with your kids. Though it might appear old school, dim the lights and put some dancehall music on. Earn some quick money online by answering surveys. Nowadays, people like you and me can make some quick change by just answering survey questions online or by doing online writing if you like it. Plan for your garden. After learning what can work for an indoor garden in your house, plan for it and start the gardening. Alternatively, if you are waiting for the winter to end so that you can start gardening, plan for it during the winter. Organize for a family fashion show. If you really have a lot of clothes in your closets that you don’t wear, call your kids and have a family fashion shows as you take some photos. Do a baking competition for the kids. Organize a baking competition for the kids and become the judge. Reward them for creativity and speed among other factors. If you like food, learn how to cook online. Learn more recipes online and try them out by cooking for your family and friends. Play card games. You can buy magic cards online, they even sell it in Barnes and Nobels. Learn this trick and you can be the center of attraction at many future parties and event. Make toys for your kids using free printable paper crafts from canon. Do some Wikipedia tour. If you like reading about known personalities or general information and past events, just use your phone or laptop to check out the information on Wikipedia. Make a business plan. If you have any business ideas that you want to implement in the future, make plans about them during the winter. Make a TV by cutting one side of a carton. After making a TV, you can then get inside and make your own commercials. If going gets really tough, I’d suggest go to a warmer place for few days, just for a change. The anticipation of your travel can be more fun than the actual travel. Look for a tape measure and try to check out who can do the closest estimates. Uses a pile of books arranged on the floor and after each one of you make an estimate, measure them. Try out parkour which is an activity that involves looking for the quickest route from one point to another using your phone or physically. Learn how to make string figures by simply using a loop of strings and nothing else but your imagination. Learn the different ways to do yoga. Listen to podcast just to learn about other people’s experiences. Learn what paper crafting means and try it out. It is fun making an origami and you can learn this on the Internet. Learn about solitaire. All you need is a deck of cards, and some time and it will be absolutely enjoyable. Do star gazing at night through your window. Stars are amazing to watch and though they might not be common in the presence of fog, sometimes it is possible to watch stars during winter. Make a time capsule which involves you collecting all the things that mean a lot to you now and keep them to open them for a future date. It is fun to know what is important to you and what is not. Buy a musical instrument such as a guitar and play it to your kids throughout the winter period. Do a jigsaw puzzle with family members. You can find the jigsaw puzzles in the free cycles. Build a family tree constituting all the members of your family that you know of. How do you like the ideas? Have one of your own? Do let us know, we will be glad to include them here. Wow, quite a few good ones here. I’m certainly going to try bringing the kiddie pool inside the garage and filling it with snow for the little kids to play in. The last two winters here in Michigan have been brutal and we frequently have weeks at a time where it is just too cold to have the kids playing outside.